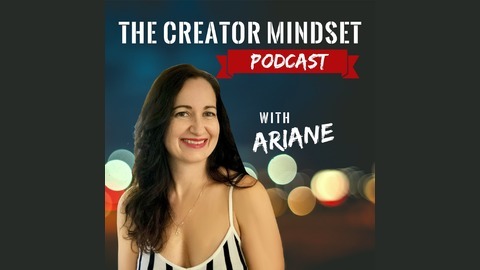 This is the Creator Mindset Podcast where artists, performers and entrepreneurs share knowledge and industry secrets that will kick off your career. 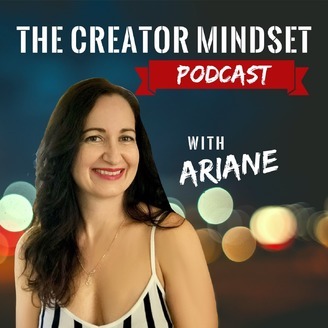 Turn your Vision into Reality with your host: Ariane Leanza Heinz. Harry Palmer is the creator of The Avatar® Course. He founded Star’s Edge International, the seminar management corporation that supervises the delivery of the Avatar® Materials. He is also an author, his first book “Living Deliberately” (currently available in 20 languages) describes his personal path to enlightenment and the subsequent insights that were to become the foundation of the three-section, nine-day Avatar® Course. He also wrote Private Lessons and The Way We Came which is featured in this podcast series. This episode is the eight of the series where Ariane reads the book “Living Deliberately” by Harry Palmer. Ariane Leanza Heinz is a vocal coach and artist consultant based in Zürich. She decided to do the Avatar course in 2001 when she felt her life was not moving forward. She had big dreams like being an artist, writing songs and performing, but she was stuck in her limitations and seemed to go in circles. She tried many techniques, as she loves exploring and is a risk taker. After her Avatar course, her life started to unravel. Things started moving. She got married, had her first daughter, found an apartment in New York City, released her first CD, gave concerts and built a successful vocal practice. Since then she uses the Avatar exercises on a daily basis to break out of her own boundaries, to get out of her comfort zone and she reaches quickly all the goals she sets for herself. The natural thing to do was to share this training with her friends and family, so she decided to take the training to become an Avatar Master and has been delivering the course since 2007. All but the most emotionally dependent eventually develop an unresponsiveness to the manipulative fear and emotional appeal of Type One systems. Most drift away, often with shame and regret for their former conduct and their own gullibility. Their truth, upon examination, is never more than a conviction that certain factors have a greater predictable repeatability than certain other factors. Avatar® and ReSurfacing® have registered trademarks of Star’s Edge, Inc.